Alpine Helicopters has been offering safe, efficient and cost effective helicopter operations since 1961 when its first base of operations opened in Calgary, Alberta. It has now evolved into a world class company, with 5 locations in Western Canada, specializing in Tourism, Heli-Skiing, Wildfire Management, Back-Country Rescue and all facets of commercial helicopter operations. With over 250 years combined industry experience amongst senior management and a pilot roster that boasts, on average, 7,000 hours of flying time each, you can trust that Alpine has the knowledge and capability to meet your helicopter support service needs. 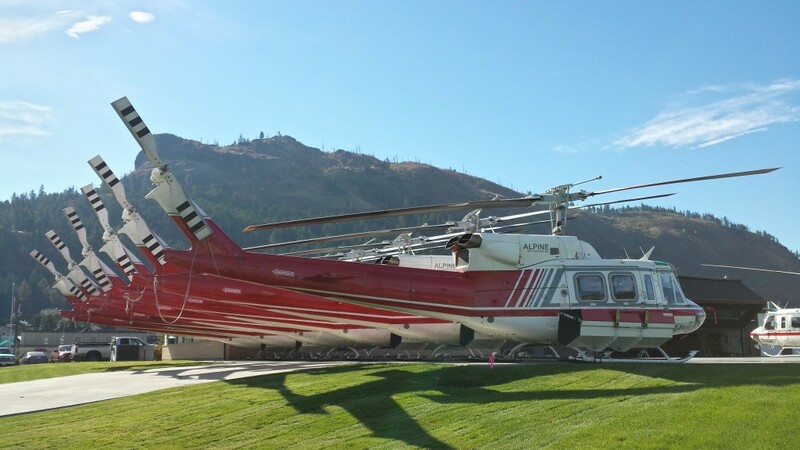 Our fleet of 35 Bell Helicopters has a reputation for safety, maintenance and quality service that is second to none. Our affiliation with Alpine Aerotech, a Platinum Certified Bell Customer Service Facility, provides Alpine with ready access to industry leading, comprehensive helicopter support and aircraft maintenance services.